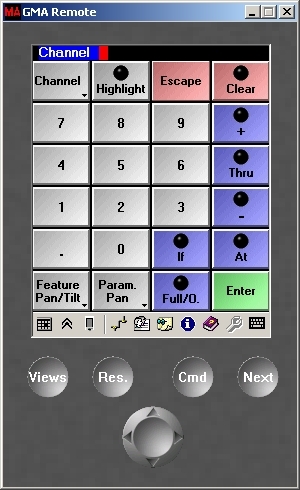 A few years ago there was an additional software for PocketPC which gave you the possibility to control the GrandMA desk via a PocketPC. i never owned one of theses but fortunately you could get the GrandMA PocketPC Emulator officially for free which let you use the the software via an ordinary pc. However, in my eyes there is/ was little to no use for this software on a pc since the software also emulated the PockePC’s actual screensize and a huge amount of the PC’s screen estate was wasted and so the software was no fun to use at all. 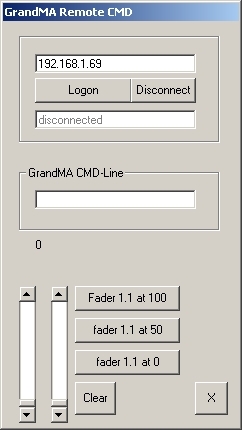 If you wanted to control a GrandMA console via PC you could better have started the onPC version and join a network. That way you’d have roughly the same look’n feel and could use the complete computerscreen. That made me very curious and I decided to build my own remote solution for the GrandMA console. Due to the fact that everything was handled via network it was easy to listen to the communication between the programs just by using wireshark. That’s what I did. One thing that really made me wonder when I started sniffing was the huge amount of unexplainable traffic between the PockePC software and the lighting desk. nothing was happening but there was a steady flow of data. Instead of transmitting button codes (e.g. button ‘1’ pressed, button ‘highlight’ pressed) the developers transmitted the motion of the mouse within the software (most of the times). So when you moved the cursor over the PocketPC interface every time the new position of the cursor was transmitted to the console. When you clicked a button the ‘click’ was transmitted (actually the ‘click’ and the release of the mouse were transmitted independently) and the console – due to knowing the absolute position of the mouse – was aware of the button you just clicked. There are a few exceptions from this rule. The ‘Clear’-button, for example always sends a fixed command string. 0x00, 0x87, 0x00, 0x4d, 0x00. The commands themselves are transmitted via udp port 7001. A connection to port 7002 (udp) has to be made in order for graphics to be transmitted. It’s just consequent from the developers to not only transmit the movement of the mouse from the pocketPC to the console, but also to transmit the blinking cursor from the console the the PocketPC. We are not talking about ‘cursor ON’ – ‘cursor OFF’ messages … we are talking about the complete cursordata (every single pixel of the blinking cursor) being transmitted EVERY time … ALL the time. … wtf? I didn’t use this feature in my software but you need to establish the connection in order to get the connection to the console working. At the end we need port 7003 (udp – you guessed it) to handle the initial logon with username and password. I hardcoded the username ‘andy’ without a password. 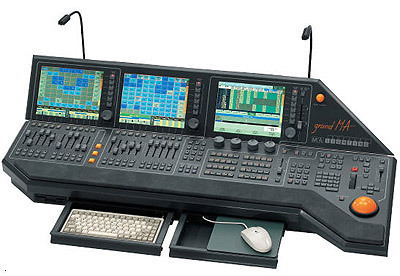 My original plan was to make my software more of a middleware so I could control a lighting desk over ethernet via ….anything. 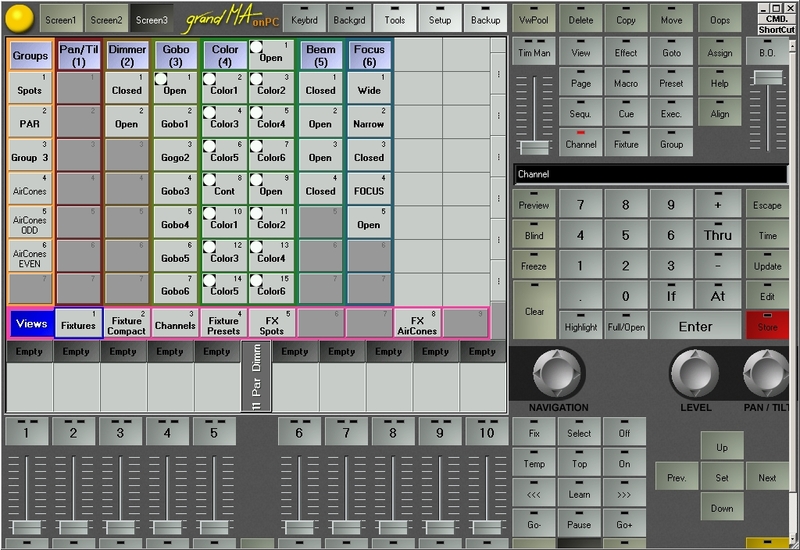 Or get deeper control over the console via a MIDI to CMDLine-converter, or … But like with most projects I found other solutions and I kind of forgot about this. Later I wasn’t sure about publishing it because I was way too afraid of legal problems but I recently had a talk with the creators of the console (greetings!) and they ensured me that it wouldn’t cause me any trouble. I also think that it’s a rather safe deal since the console has undergone some major updates and now offers a telnet prompt natively. Tagged command line interface, GrandMA, GrandMA onPC. Bookmark the permalink. This looks very interesting. Can you by any chance share the source code? I’m looking into something similar (for iOS/macOS) since I still use these old desks quite a lot and the official remote app is quite hard to get working and will no longer work for iOS11 and up. thx for the feedback. I’ll have a look if I can get hold of the sourcecode and publish a more detailed post soon. But i was searching for something like that for gMA2. Do you know if it works the same way? I’d love to see your work on this, I’m looking at doing hacking on my MA1 Micro, and keen to send remote command lines. Nice work! Hello I am a human researching the Grandma interface! !